Talk about the place again of IKU, is located at No.21 Jalan SS21/60 Damansara Utama, 47400 Petaling Jaya, Selangor (beside Tapper Cafe). Their main target costumer are mainly more to college students and office ladies/gentleman where the place has colleges and offices surrounded. Beside that, the place is also one of famous kaki place where I love to lepak because many restaurants are around there too. Talking about exterior design, IKU is kinda outstanding with wood border wall with a clean logo shop design. It's simple and clean yet class enough to present and get attention from outside. 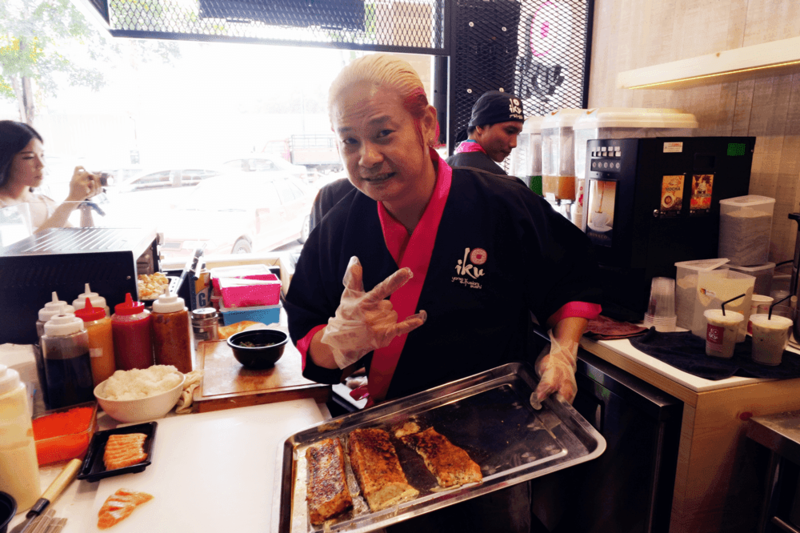 Since IKU is provides "Dine or Dash" concept of service, left in front of the shop is a open cashier with combination of bartender and kitchen counter while on their right has a medium open refrigerator for costumers to pick their choice of pack sushi. This is convenient enough for those who just want to grab-and-go and their sushi is freshly made everyday. IKU also provides dine-in area for those who want to have their meal there. The interior is also using wood wall design with providing a cozy warmth lighting atmosphere. The space is consider medium but still comfortable enough to consume. Other than that, IKU main design is using wood pattern no matter on wall, floor even table. Everything is useless if food is not pursuing enough to make you try it. 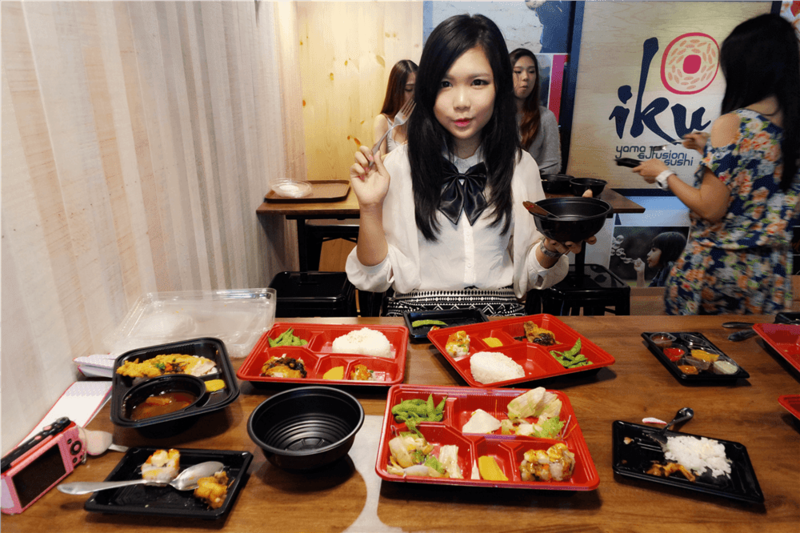 IKU serves mainly in Bento Box from shashimi, rice, noodles to side dishes. Besides, IKU will try to debuts special limited bento box every month to let costumer not easy get boring with the dishes. The unique about IKU is with Chef Yama's entensive experience and his passion for sushi, besides than using the traditional soy suace and wasabi combo, he has created 10 special sauces to go with the shushi and bento box. "Fusion is in the suace. I've made 10 different sauces just for salmon" says Chef Yama. Parts of sauces of Chef Yama has created. I can't even remember the name but my favorite is the yellow color sauce which is mango puree. It's really refreshing with abit of sour to open up your stomach, lol. Above are their signature drinks. IKU offers matcha base of drink mix and match with fruits puree or varietea. Is much healthier while also has other taste level to steps up the drink. I have tried all of IKU drinks, my persona will recommend Iced Matcha Passion Puree and Matcha Chocolate because both are my favorite choice of flavor all the time. Iced Matcha Lychee Rose is also a worth of try because it's really refreshing and light. If you're low sugar consumer, kindly advise to low down sugar level. Move to their Japanese Fusion Sushi. IKU has 9 different fusion sushi for you to try. So far, I've only try around 5 or 6 types only. One of my favorite is Fusion Salmon Belly Osaka, which is raw belly shashimi top with special sauces. The sauce really brings out the flavor and makes you wanna eat more and more. Besides that, would like to recommend Fusion Mango Wakiki as well. At first, it was kinda weird for me but once I've tried, am totally fall in love with it. Mango slice on top while raw salmon with some common ingredient in heart of sushi roll pairs with special fusion sauce on top. The combination of this sushi roll gives me extra enchanting freshness on it. Noted, if you're not a fans of sumptuous taste, this might not suits you neh but is a worth of try. Any udon/soba/ramen lover here? IKU has offers noodles series as well. 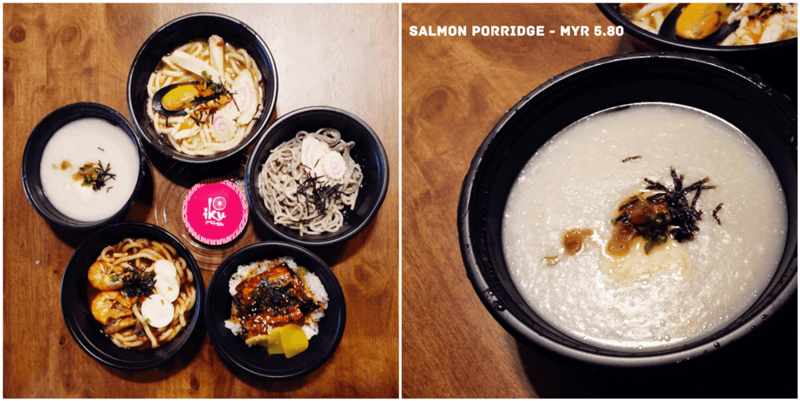 Besides that, you're finding for a very light meal, you can their salmon porridge for health-conscious and small eaters. The consistency is smooth, light, not too heavy with a big chunk of salmon with just only MYR 5.80?! This porridge is definitely more than that!! Cold Soba is served with fishcake and cut wakame. The lightest yet simple comforting buckwheat soba noodles coating with IKU special savoury sauce. 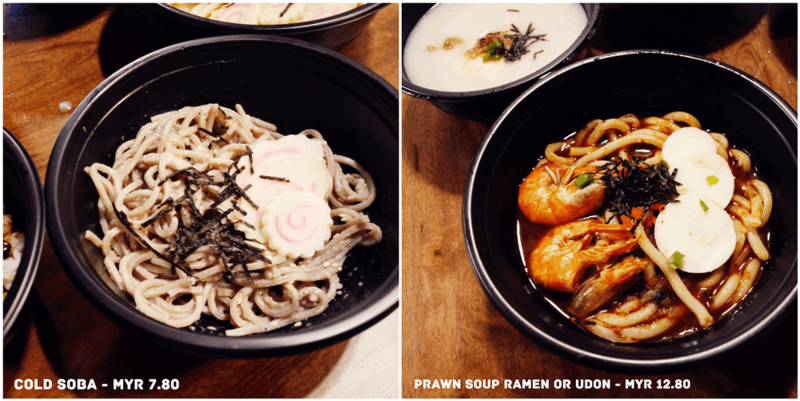 Prawn Soup Noodle can be choose for ramen or udon served in a spicy Japanese broth pairs with prawn, slice eggs, sliced naruto maki and friend union. The soup is prawny and rich (if you consumed prawn noodle before then you will get what I mean) yet quite traditional with comparing with original prawn noodle. Seafood Soup can be choose for ramen or udon served with fresh seafood soup pairs with sliced naruto maki, crab stick, tempura shrimp and mussel. Unagi Don is the most expensive dish in IKU. Special Teriyaki sauce coated on top of Unagi and then glazed with hot fire into crisp and brings out the Unagi scent served with Japanese pickles and sliced tamago. Japanese Curry Chicken, using chicken breast which is healthier served with Japanese Curry Sauce, Chicken Karage and Pickles. The curry is not in a thick consistency, it is watery for dipping and pairs with rice. The taste is kinda like Malaysian curry but in a light spicy version. Those who prefer bentox box, IKU Salmon Teriyaki might suits you well. The bentox box has slice of salmon, Edamame, Pickles and sushi (Japanese Lasagna) with IKU's Signature Sauce. How cute is it when the rice is in a heart shape topping with sesame. Continue with another bentox box, IKU Chicken Teriyaki served with sliced chicken (breast), Edamame, Pickles and sushi (Japanese Lasagna) with IKU's Signature Sauce. Althought the chicken is breast but it tender and soft enough to be consume. I love their Teriyaki sauce which are not too sweet. IKU Shashimi is perfect for diet or healthy consumer. Bentobox served with sliced shashimi of Salmon, Ebi & White Tuna, Edamame, Pickles, Salad and sushi (Japanese Lasagna) with IKU's Signature Sauce. This bentoxbox is refreshing and light yet the shashimi is thick too. 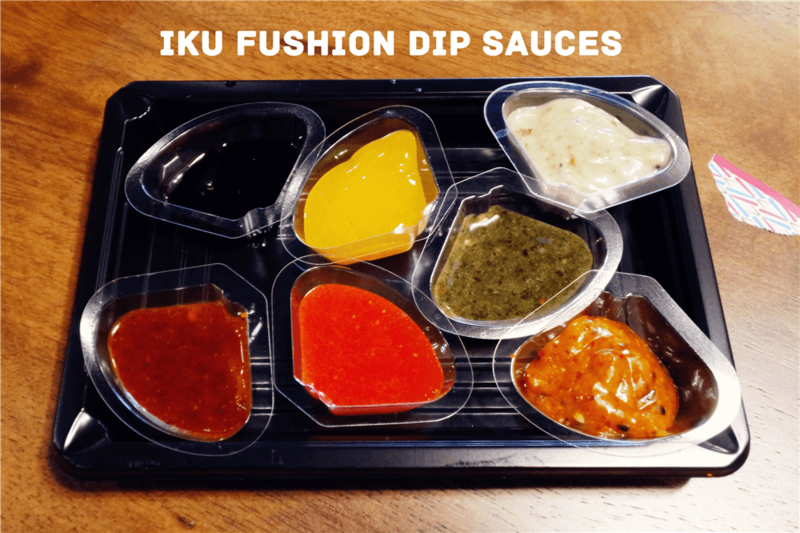 You can request for special IKU sauces to boost up the taste even more. IKU Special Ebi Tempura is served by Ebi Tempura, Edamame, Pickles, Salad and sushi (Japanese Lasagna) with IKU's Signature Sauce. IKU Signature served by sliced fish, Salad, Pickles and sushi (Japanese Lasagna) with IKU's Signature Sauce. I like to concept of 'Dine or Dash" of IKU Japanese Fusion Sushi. It's is suitable for busy people and for those who just wanna drop by and take away. Not only that, IKU has offers wide varieties of fusion sushi on 'Grab&Go' bar, with the price for sushi, in a pack of 4, ranges from RM4.80 to RM12.80. Besides, the price is affordable yet the meal is healthier and fresher especially for a brunch/lunch. Bentobox portion is kinda big for a female to consume while enough for male unless you're big eater. As for the drink, I love their signature drinks especially fruits series with a touch of added matcha to makes the tea even healthier and fresh. 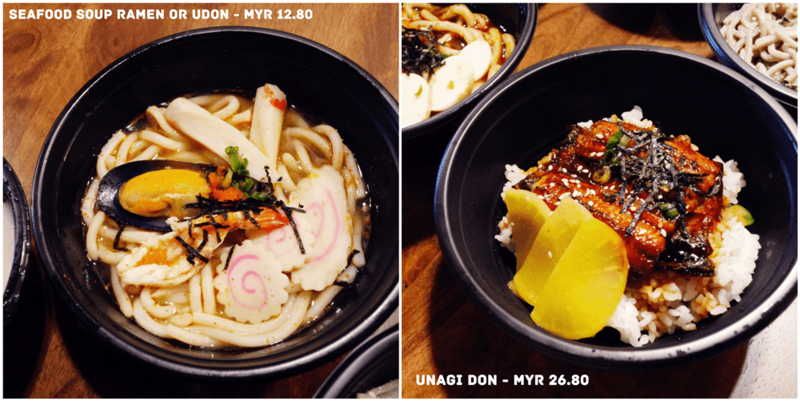 I could say if you're looking for a pocket friendly Japanese Fusion Cuisine, IKU Japanese Fusion is in your list.